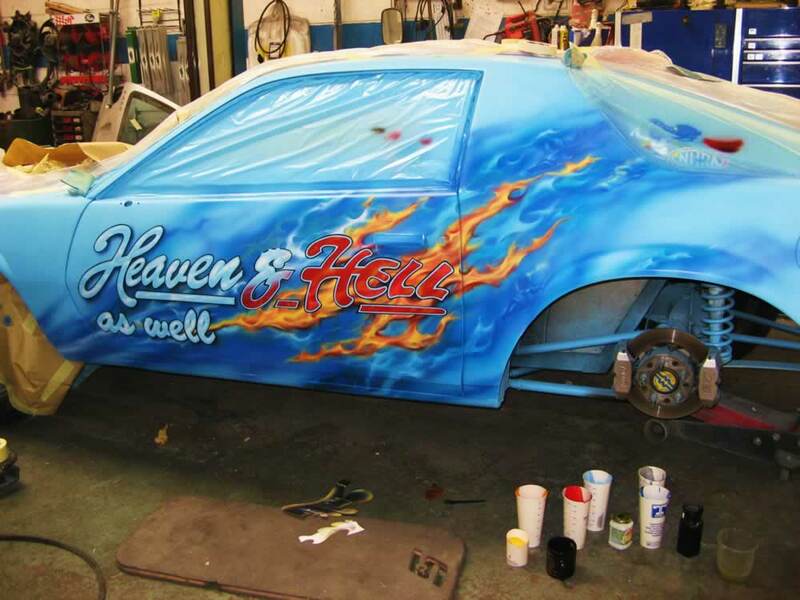 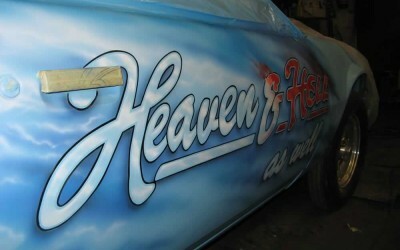 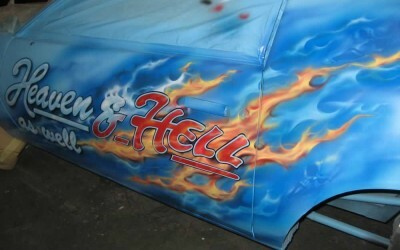 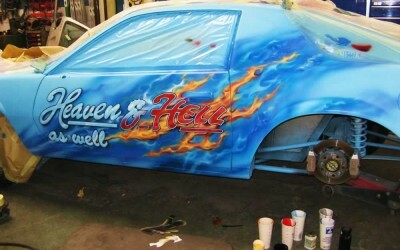 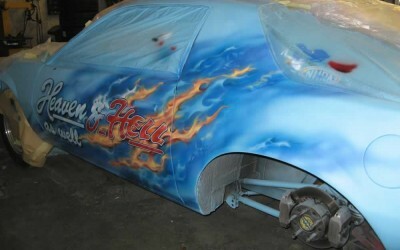 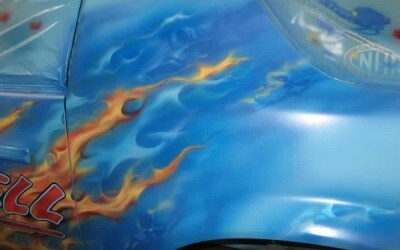 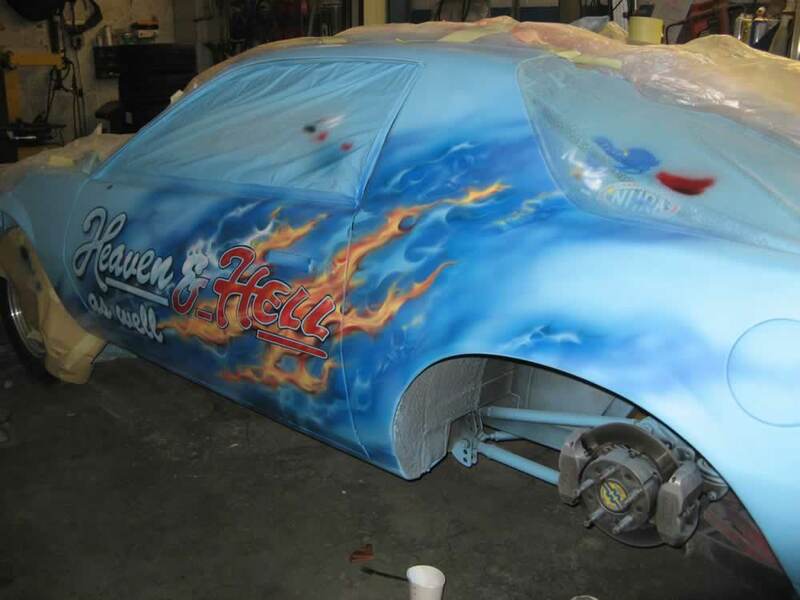 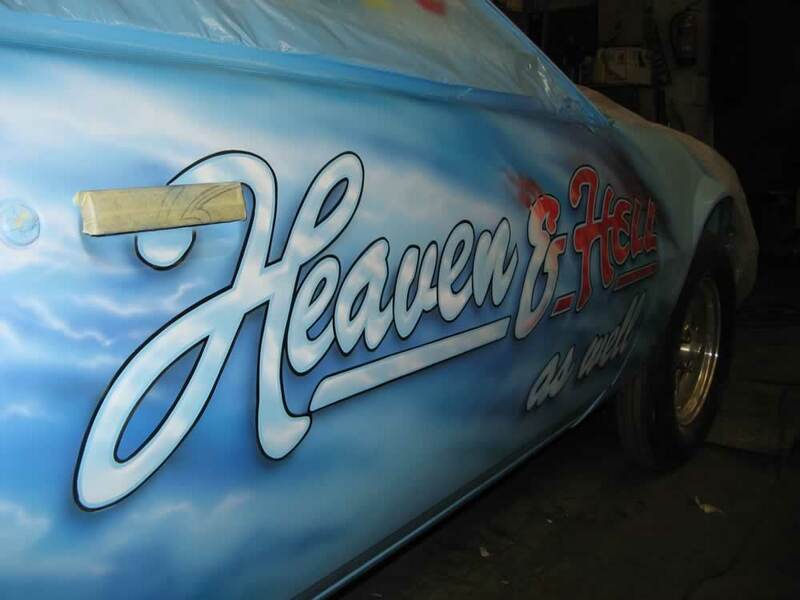 As a new stablemate to the “Heaven and Hell” Camaro, this car needed a new set of colours. 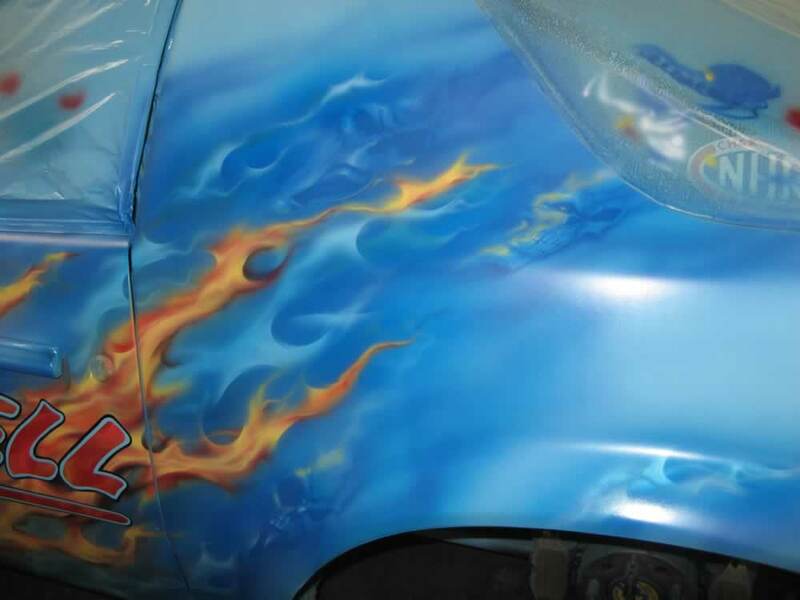 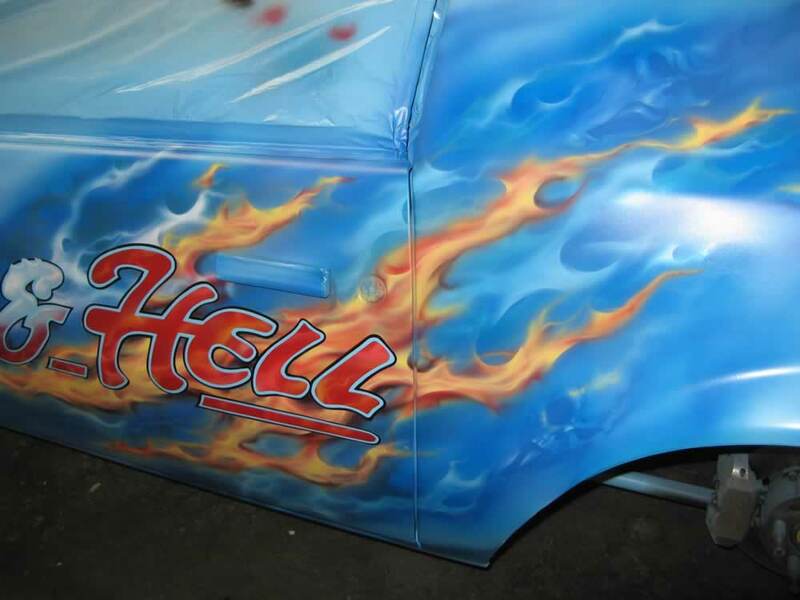 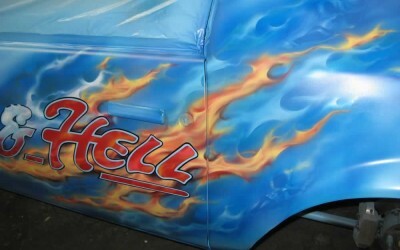 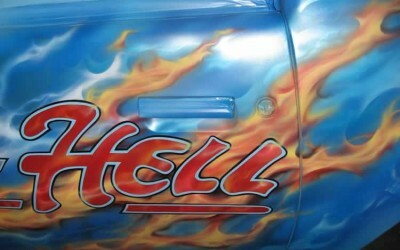 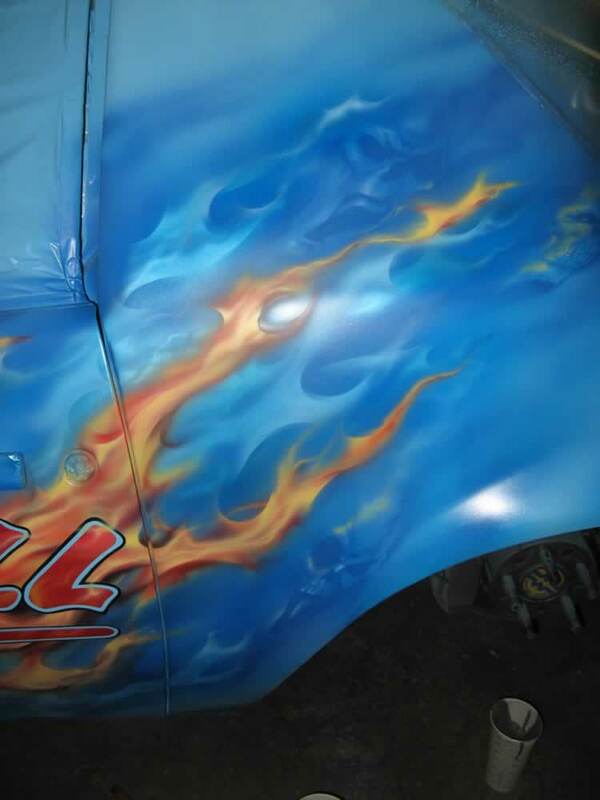 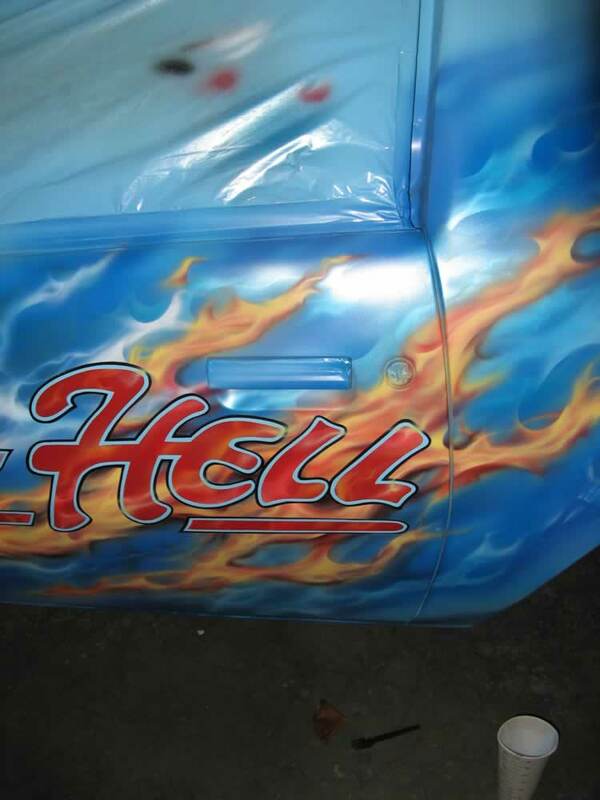 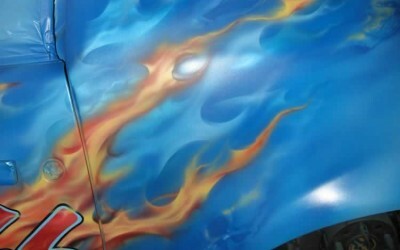 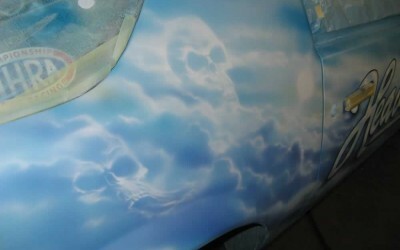 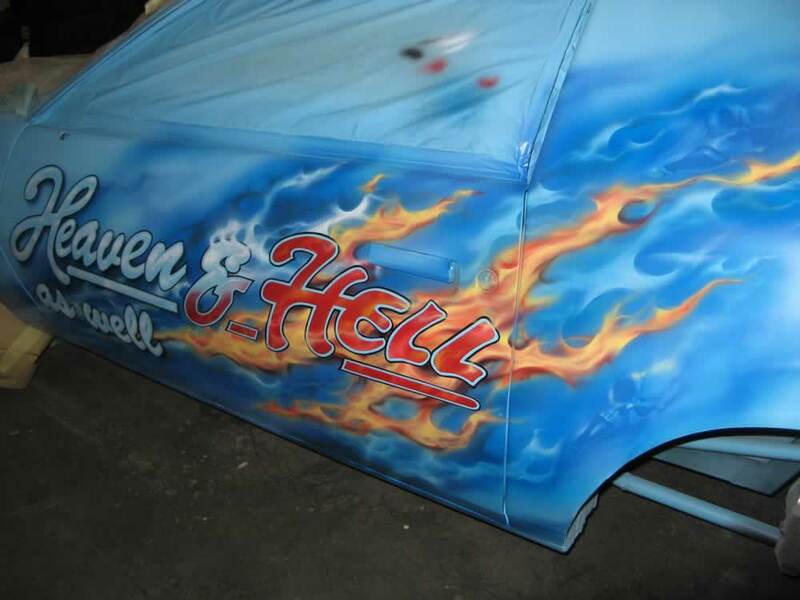 Closely based on the graphics and lettering from the first car, but working over a revamped blue base with freehand flames and skulls curling and licking over it’s bodywork, this car now fits right in. 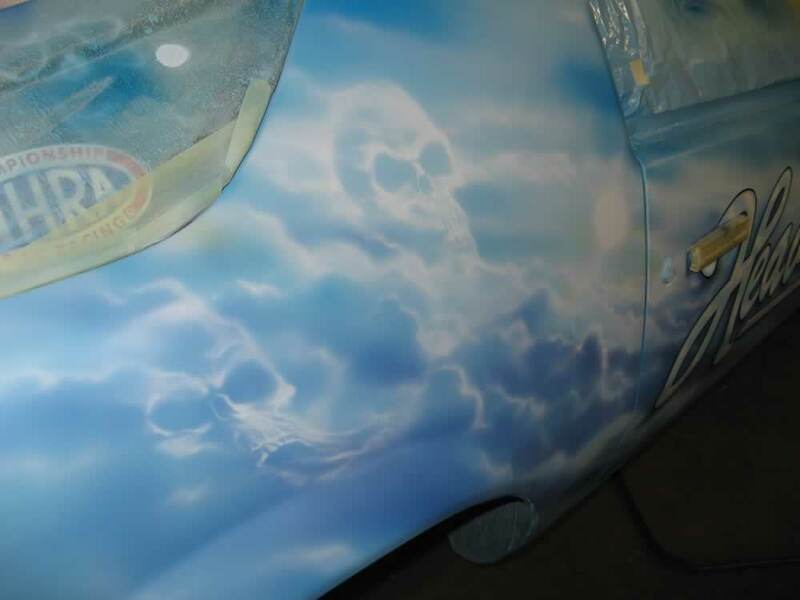 Have a good look at the pictures, because it’s the only time this car will be still enough for you to focus.